These stylish cream dancing flame candles feature a unique flame design that mimics the movement of real flames perfectly. Lit by warm LED’s that shine through the body of the candle and highlight the flame effect, these real wax LED candles are the closest that you’ll get to real flickering candlelight. All sizes require 3 AAA batteries. 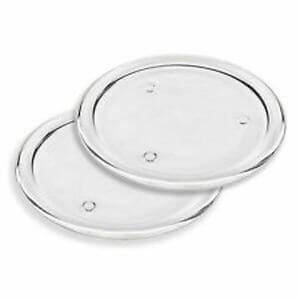 LED candles are great for many venues. 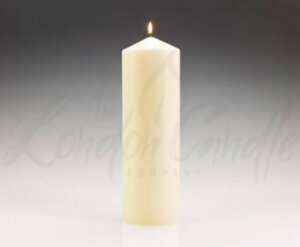 Hospitality venues, weddings & events, restaurants, and hotels – The London Candle Company supply LED candles across the UK. 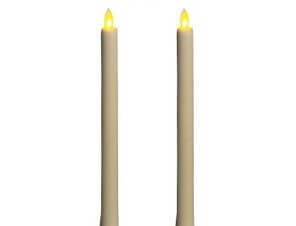 LED Battery Dancing Flame Pillar Candles. 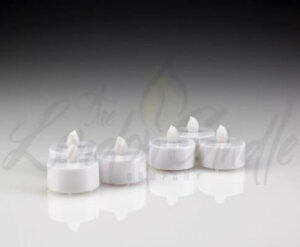 Our ivory battery candles are available in various sizes – please use the drop down option to make your selection. Stock availability is the amount of cases in stock. 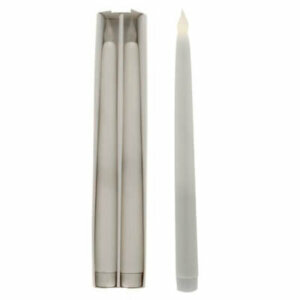 LED Battery Dancing Flame Pillar Candles. 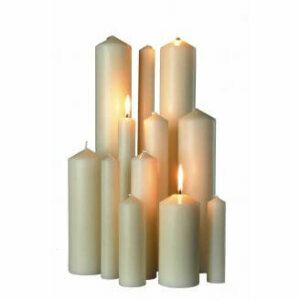 These stylish cream dancing flame candles feature a unique flame design that mimics the movement of real flames perfectly. 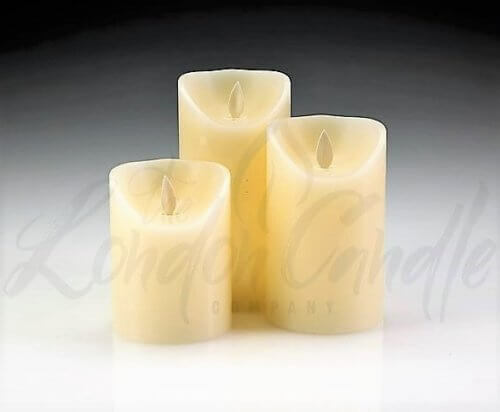 Lit by warm LED’s that shine through the body of the candle and highlight the flame effect, these real wax LED candles are the closest that you’ll get to real flickering candlelight. LED candles are great for many venues. 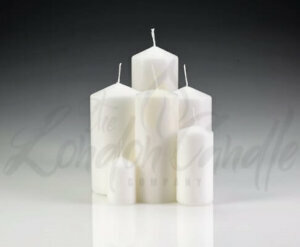 Hospitality venues, weddings & events, restaurants, and hotels – The London Candle Company supply LED candles across the UK. 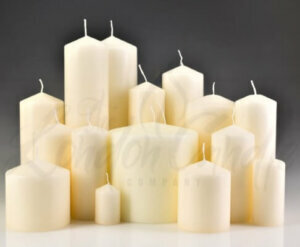 For real flame ivory pillar candles please click here.